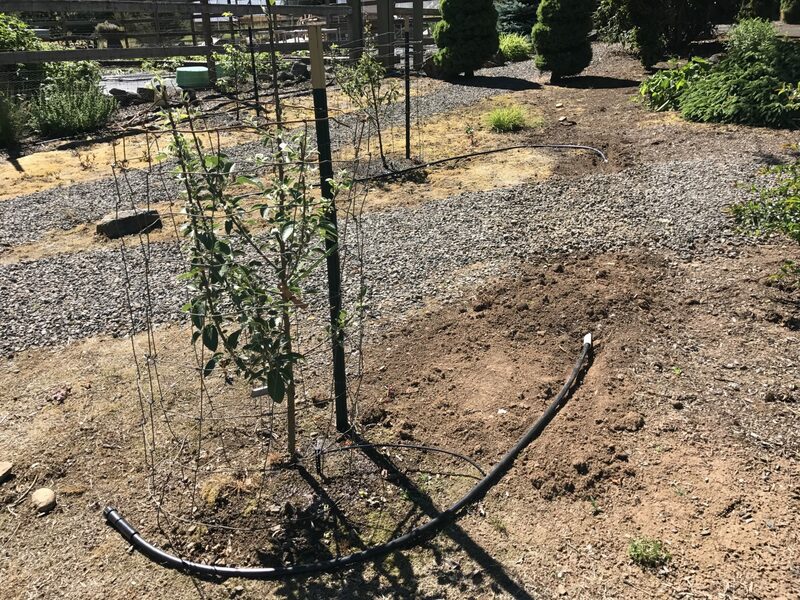 Much as I’d like to be working on the coop, to get it ready for occupation, it’s a hot day with no sign of rain for a while, so I thought I’d better add irrigation for some new trees around the property. Meanwhile, Jenn started painting the siding; more on that probably tomorrow. 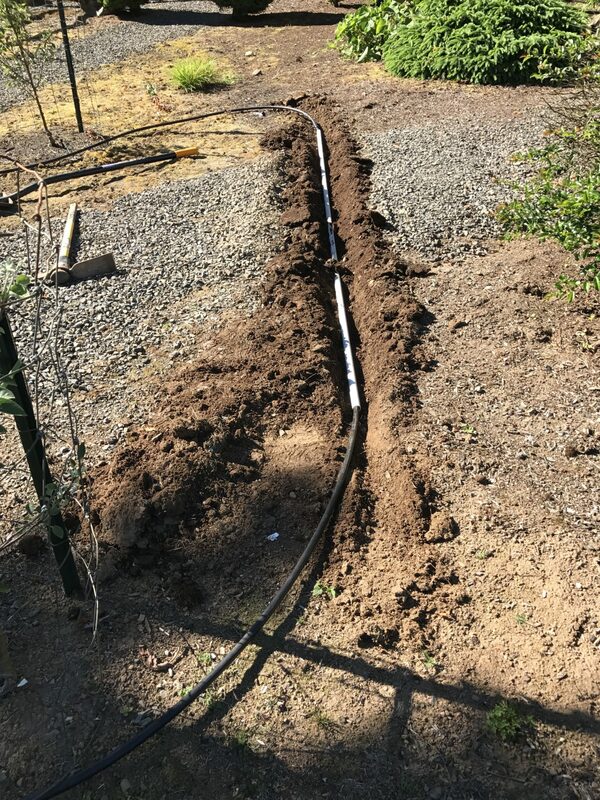 Irrigation pipe inside PVC pipe as conduit under the path. 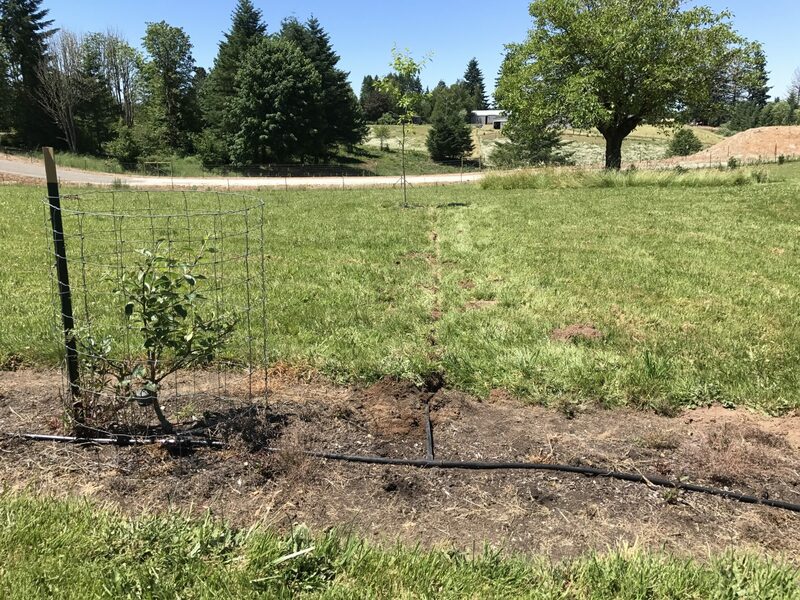 The “dessert” apple trees (as opposed to cider apples); the one in the foreground is a McIntosh variety that was planted earlier this year, now with irrigation. 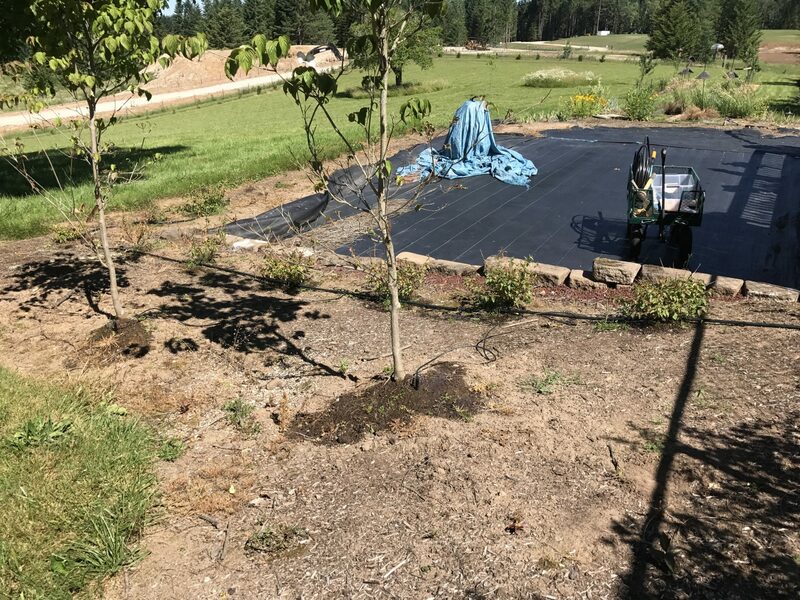 Two dogwood trees and dogwood shrubs around the pool area, now irrigated. 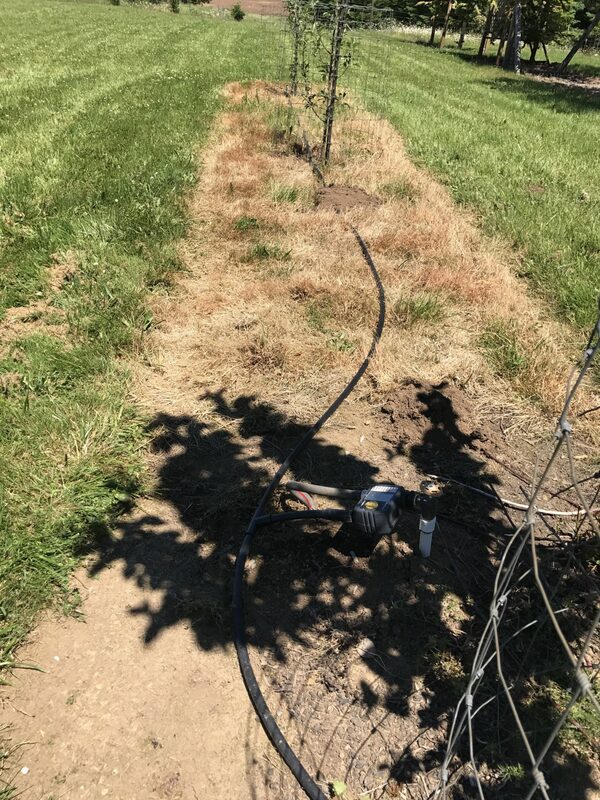 Irrigation for a couple of the new cider apple trees. 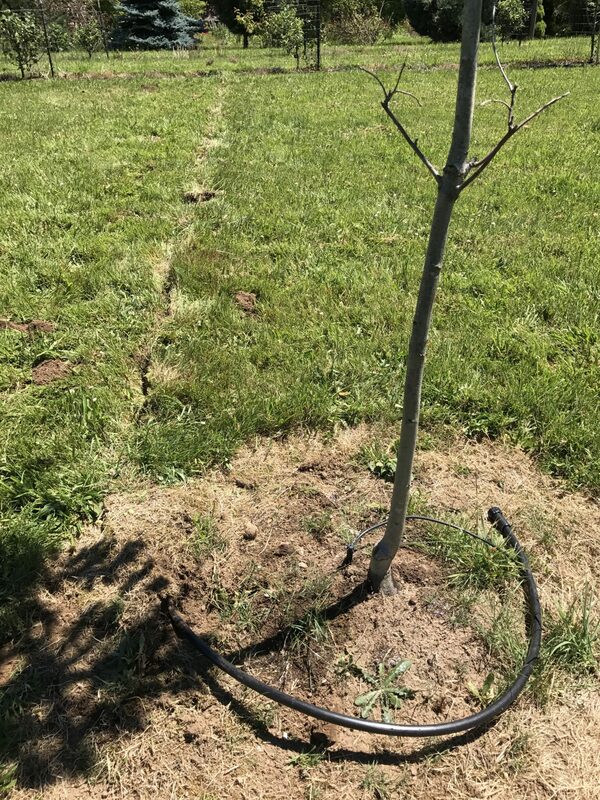 A branch off the row of apple trees out to the new oak tree in the field, again buried in conduit. Nothing like digging a ditch in 90°F heat. 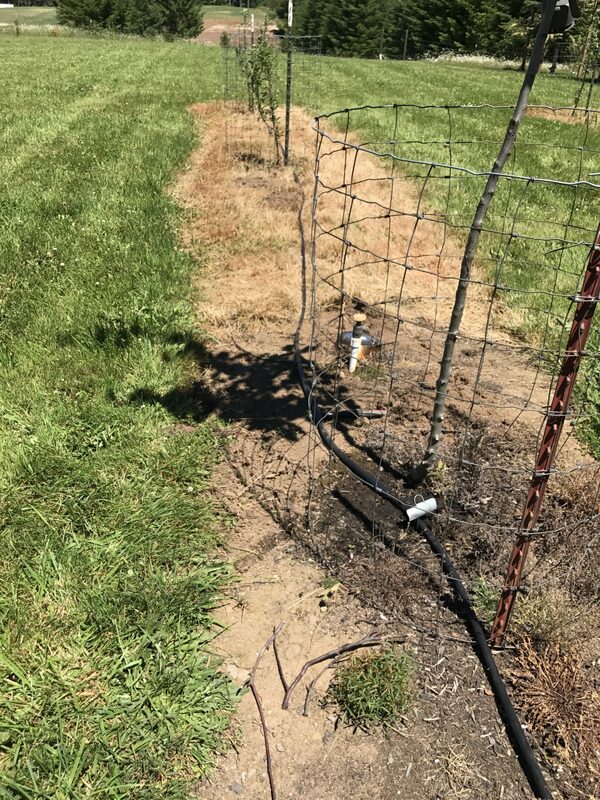 Irrigation for the oak tree.